Eddie Rosario led Minnesota’s offense in almost every major category last season. 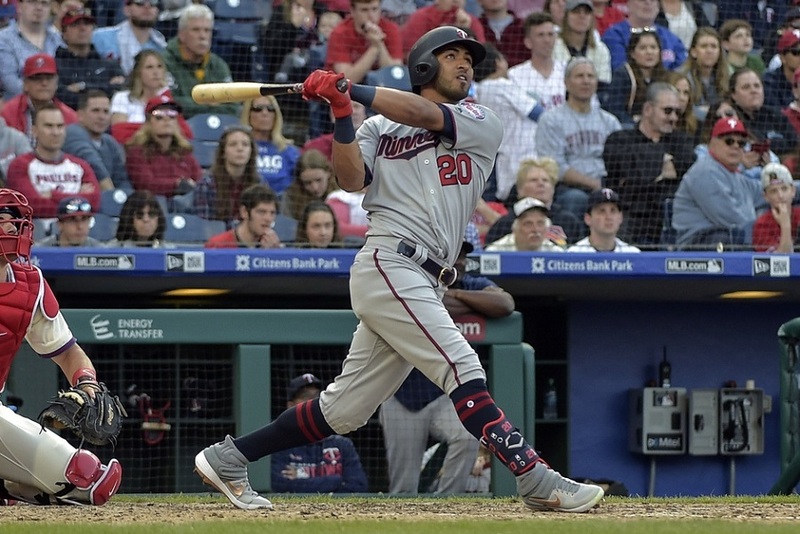 He evolved into the clubhouse leader on a team that was missing key players like Byron Buxton and Miguel Sano for large chunks of the season. He became the club’s most consistent offensive threat. The Puerto Rican outfielder got off to a slow start this season. However, things seem to be trending in the right direction. Can Rosario continue his recent surge and how important is he to the Twins offense? For his career, Rosario has been a traditionally slow starter. He has hit .241/.276/.398 in the months of April/March. His OPS of .647 in the season’s first month is 100 points lower than any other month. Maybe the cold impacts his bat, because September/October is his second lowest monthly batting average and OBP. This season, Rosario didn’t collect a hit until the team’s fourth game. This meant he started the year 0-for-14 with two walks and four strikeouts. In that fourth game against the Royals, his first hit came at one of the biggest spots so far for the club. Minnesota was down a run in the top of the ninth. Jorge Polanco had doubled to lead off the inning. Rosario was able to drive him in to tie the game and the club came back to win in extra-innings. Baseball is a game of streaks and that hit might have helped Rosario to turn an offensive corner. Since that game, Rosario has recorded a hit in seven out of eight games including three multi-hit efforts. Following Sunday afternoon’s three hit barrage, Rosario has his average up to .283 and his OPS is north of .880. But is there more to this recent streak? He’s been able to go on this stretch thanks to a few key changes. He is barreling up the ball more often. Last year, he set a career high with an 8.3 barrel percentage. This year he has nearly doubled that total with a 15.2 barrel percentage. Rosario’s exit velocity has also improved to 88.9 mph, which is up for a career high 87.3 mph last season. Rosario’s launch angle has also shifted over the last two seasons. During the 2015-17 seasons, his average launch angle sat in the 10.5 to 13.6 range. Last year, he upped his launch angle to 17.4 and this season he’s right near that mark with a 16.3 launch angle. Rosario is never going to lead the league in walks, especially with his free-swinging approach. During his first two big-league seasons, he was in the bottom 3% of the league in walk percentage. Over the last two seasons, he has seen minor improvements. Entering play on Monday, his walk percentage was better than league average (8.7 BB%). Fans can overreact to early season results. There will be ups and downs for players throughout the year. Rosario was relied on to power the offense through multiple parts of last season. He can’t be everything for this team again; but hopefully, he can be one piece of an even more powerful offense in 2019. How important is Rosario to the Twins offense? Leave a COMMENT and start the discussion. I'm not worried about Eddie. He's an .800+ OPS guy who is an above average defender but makes the occasional boneheaded play. That's still a valuable piece. SSS aside, the walk rate is up, which is good. In his case, I'm not worried as much about walks as him simply taking pitches that are outside the zone. We all know he can punish just about anything when he's on... I'd just like to see him lay off the ones he's not as likely to hit well. Get his signature on an extension by July.It may be a year less than the two signed during spring training and will certainly be for more dollars, just do it! I'm not the one in the box, so it's easier to say this from a bird's eye view, but I thought this really came into play last night against Toronto.He was up against a lefty who hasn't been able to hit the broad side of the barn and was just way too aggressive with a 3-0 count and eventually got himself out. Eddie wants to make noise, and it's always a joy when he does, but the game situation being down by two, a walk is as good as anything. I'm not the one in the box, so it's easier to say this from a bird's eye view, but I thought this really came into play last night against Toronto.He was up against a lefty who hasn't been able to hit the broad side of the barn and was just way to aggressive with a 3-0 count and eventually got himself out. Agreed! Sometimes he wants to be the hero too much. He needs to know that sometimes a walk is better than possibly hitting a double or a HR. And last night was the perfect time to get someone on base and get an extra out. Rosie also worked an eight-pitch walk after falling behind 0-2 and scored on Cron's homer. Kinda had both ends of the extremes last night. No doubt. That's what makes him a bit of an enigma. The part of his game that drives me nuts sometimes is his lack of situational awareness. Even generally speaking, I don't mind that he's swinging out of the zone if it's something that he can drive. I don't think that's case late last night. In a late game AB like last night, he's got to look for something to drive or find a way to get on base. It didn't look like that was his mindset at all. Eddie's bat is and will play out well. Quick hands. What is disturbing is a bit of lack of hustle. Running out balls and getting balls in defensively. He had a play on the weekend he could have thrown a batter out at second but nonchalantly threw the ball into short assuming the guy was going to hold at first. Would like to see more fire. I was hoping to hear more about why he wasn't extended this off season. Kepler and Polanco were while we heard enough to know that there were discussions with Berrios and Gibson. What about Rosario? I'd assume there was at least a conversation, but if that was made public I missed it. His OBP and SLG are higher this year than in any of his previous full seasons.......what are people looking for?